Bright Ground Floor Office Space for Lease! • 1037 sqft commercial “Permium Ground Floor Office Space in High Visibility Location” – FOR RENT CAD2,500 ML . 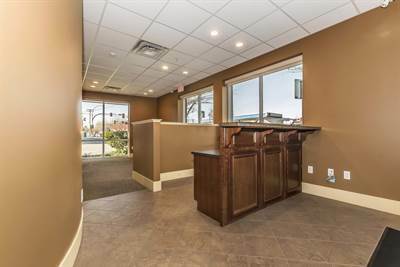 Take advantage of this great location, just steps away from all amenities. Make your appointment to view today. • commercial – FOR SALE CAD17,900 . New Price! 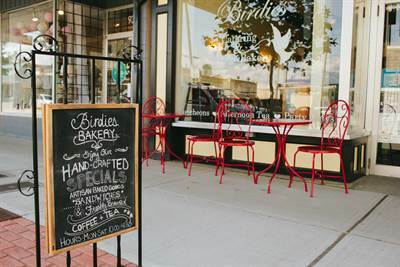 Birdies Cottage Bakery and Catering! • 760 sqft commercial – FOR SALE CAD87,500 . Ready to own your own business? This could be it! 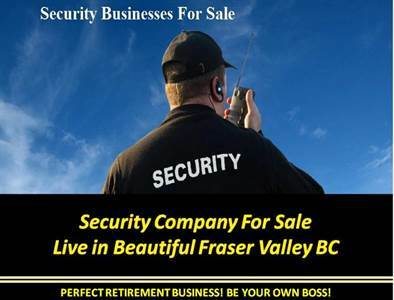 Well established bakery in the heart of Downtown Chilliwack. Nestled among other fine, chic, popular shops, you will find this turnkey business, just waiting for you to take it to the next level. Call today! Wonderful Recreational Property in Cultus! • single story – FOR SALE CAD129,500 . Sleeps 6! It's perfect for summer or?? 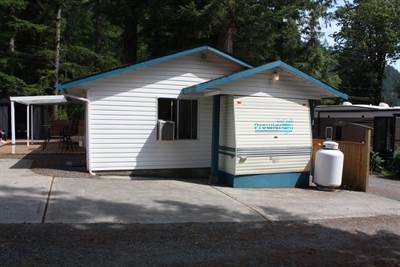 Recreational Lot in gorgeous Cultus Lake includes a 29’ft trailer that sleeps 6! Completely covered patio, guest cabin or workshop, and fully fenced.You own your own land and pay a small strata fee of $500 annually, Located a few minutes from Cultus Lake and Aquadel Gulf course and Restaurant. A short 1 hour trip from Vancouver will bring you to a quiet recreation oasis. There are only 49 lots in this sought after private recreational haven. Services include PHONE, HYDRO, WATER, SEWER. Firepit for your entertainment pleasure. Summer is coming! bring your trailer and live close to the lake! A transfer of title for the non-real estate component must be made separately through ICBC. Amazing Property in Lindell Beach! • single story – FOR SALE CAD159,900 . Recreational Land with Living Spaces! This property is spectacular! 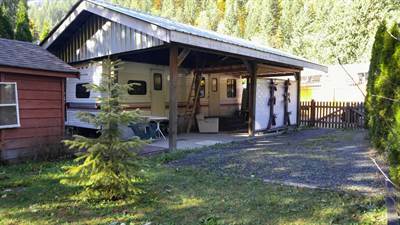 1614 sq ft property includes a Prowler 35′ 1993 with a 12×28 addition, with a gas fireplace, fabulous new kitchen with new appliances. 1084 sq. ft. deck. a 10 x10 shed 3 pc bath, storage, and washer and dryer. 10’x12′ gazebo with screens, privacy screens and winter cover. You own your own land and pay a small annual fee of $730, which includes sewer, water, garbage and snow removal. Located just a few minutes from Cultus Lake, a short 1 hour trip from Vancouver will bring you to a quiet recreation oasis. Playground for the kids, Leisure Valley Recreational Lot in Gorgeous Cultus Lake! Come look and make your offer today! A transfer of title for the non-real estate components must be made separately through ICBC. 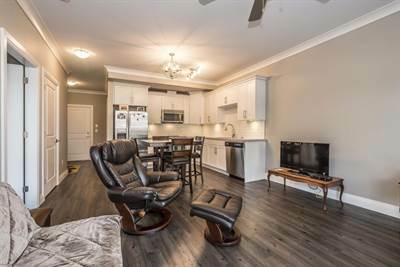 Luxury 1 Bedroom Plus Den in Prime Sardis Location! • 737 sqft , 1 bath , 1 bdrm apartment – FOR SALE CAD339,900 . NEW PRICE! !Park Ridge Condos in Sardis! 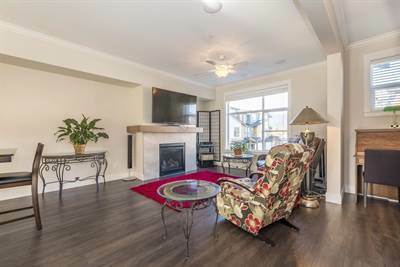 Modern and Spacious Townhome Parkside Place Chilliwack! • 2011 sqft , 3 bath , 1 half bath , 3 bdrm 3 story – FOR SALE CAD479,900 . Beautiful Attention to detail construction! Modern, Spacious 3 storey townhome in private area of Chilliwack. Featuring stainless steel appliances, quartz counter tops, soft close cabinetry, BIG windows, big covered deck, LED feature lights, modern color scheme throughout. All the modern finishings. 1 km from all levels of schools and easy freeway access. This is the one you’ve been looking for. Three bedrooms upstairs with the laundry conveniently on the same floor. Whistler inspired stone and wood exteriors. 2011 square feet of living space. Gas fireplace, covered patio and balcony. Kinsmen Park and the complex kids play area are just steps away. Great central location. Book your viewing today. Heritage Style Home with 3 Suites! Reap the Rental Rewards! • 4370 sqft , 6 bath , 1 half bath , 9 bdrm multiplex “3 one bedroom plus Heritage Home on upper levels” – FOR SALE CAD845,000 . New Price! Investors Alert!! Amazing Investment Potential! 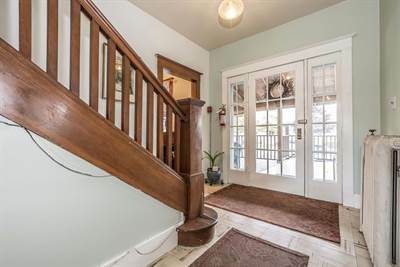 Large 6 bedroom Heritage Style home plus 3 one bedroom legal suites on the lower level! Lots of beautiful heritage features. The main part of the home is on two levels, 5 bedrooms above, with a large, dry, attic/storage space. Separate living and dining room, den/parlour, and another bedroom on main floor. Hardwood floors on the main levels, bedrooms with large windows, fabulous views. Water filtration system. Large covered deck to enjoy summer living. All the suites are ready to rent out. 2 suites with split head/air con. Greenhouse on its own cement pad, 2 other metal sheds. Even though this home is on Hodgins, it feels very private and quiet. This was the original Nurses residences! Call today! Neighboring property MLS #R2323558, 45370Hodgins Avenue also for Sale. in Downtown Chilliwack, Chilliwack Announcing a price drop on 45356 Hodgins Avenue , a 4370 sqft , 6 bath , 1 half bath , 9 bdrm multiplex “3 one bedroom plus Heritage Home on upper levels”. Now FOR SALE CAD845,000 . New Price! Investors Alert! !